Female motorcyclists should start getting ready for celebrating their passion at a four-day event hosted by Road Queen USA, in a charitable run. 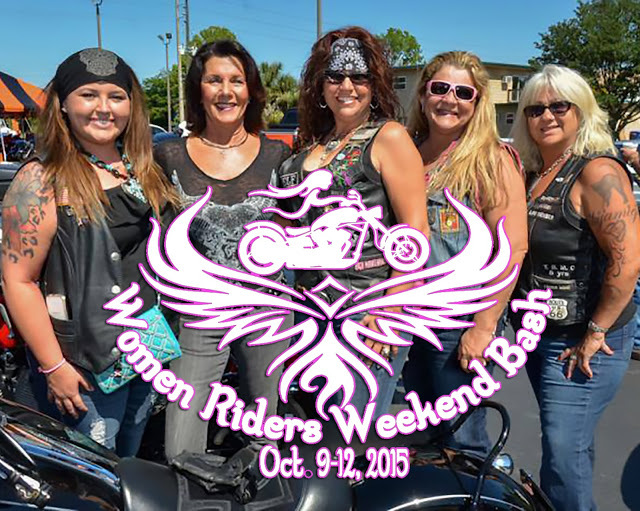 This event is organized to bring all women motorcycle riders together. There will be a lot of bonding, fun, friendships, but also awesome garage parties, presentations, meet-n-greets, dancing, group rides and live bands all across Florida’s Gulf Coast. • Brittany Morrow, Brand Specialist at Icon Motorsports shows off the latest in women’s motorcycle gear. • Saturday morning ride to Ocala for Ladies Garage Party, riding demonstration, how to pick up a downed motorcycle, with brunch included. Road Queen USA, Inc. is a registered public charity that helps veterans, children and various communities in need. In 2011, they have gathered supplies and funds to help towns that were devastated by tornadoes. In 2014 they have raised more than $12,000 for purchasing an all-terrain wheelchair for injured veterans. Tickets for this event are on sale already. Visit www.roadqueenusa.org for more information!